Here’s the latest on WDW’s INCREDIBLE SUMMER – plus the all the updates on news, weather, refurbishments and closings this week at Walt Disney World. Walt Disney World is set to have an INCREDIBLE SUMMER! Image courtesy of Disney. Yes, it’s finally happened. Disney has joined the bandwagon of almost all other resort hotels and will soon be charging for overnight parking. Starting March 21st, your hotel folio will host a new charge- parking. 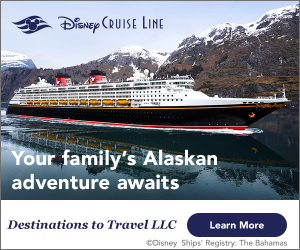 Disney Value Resorts will add $13 per night, Moderate Resorts will add $19 per night, and Disney Deluxe and Villa Resorts will add $24 per night. Campsites at Disney’s Fort Wilderness Resort will have complimentary parking. Day guests will not be charged, neither will Disney Vacation Club members. This spring, Disney is upping their fashion game! Disney Springs West Side is the place to be to explore new products including Spirit Jerseys, hats, socks, and more. If you are a fan of Ariel, you will love the sea green Spirit Jersey with purple glitter lettering and a cute clam shell logo. Town Center delivers the best in beautiful jewelry, handbags, and high-end fashion. Rose gold necklaces adorned with Mickey heads will certainly make you the center of attention. There’s a little something for everyone and if bling is not your thing, head to The Disney Corner for some down to earth t-shirts and other apparel featuring Minnie and Mickey. Easter Bunny is hopping into Magic Kingdom for a special visit starting today! You can find this special meet and greet in Town Square Courtyard. Then, on March 31st and April 1st, Easter Bunny is joined by Daisy Duck, Thumper, White Rabbit and more in a mini parade down Main Street U.S.A. 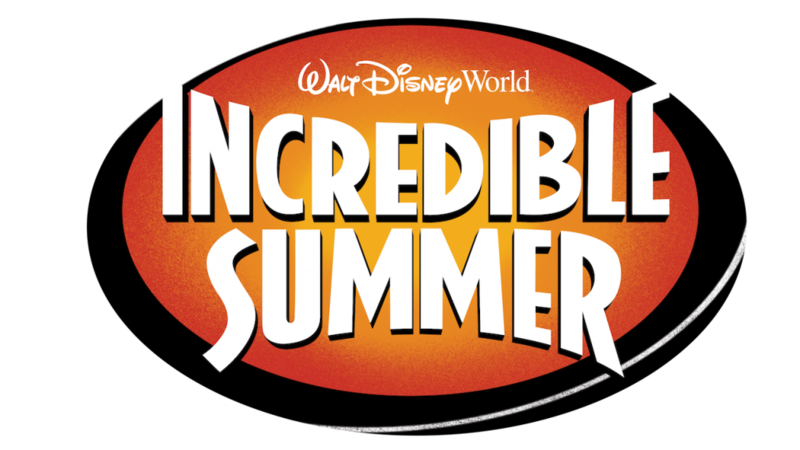 This summer at Walt Disney World is shaping up to be nothing less than INCREDIBLE! The celebration begins on May 25th with an incredible takeover in Tomorrowland. Here you’ll be able to interact with Mr. Incredible, Frozone, Edna Mode and more! If that isn’t enough of a super hero fix, head over to Epcot starting June 9th for The Guardians of the Galaxy- Awesome Mix Live! This concert series runs through August 19th and features music from the two movie soundtracks. Disney’s Animal Kingdom joins in the incredible summer with several new events. On April 22nd, UP! A Great Bird Adventure will debut, featuring Russell and Dug and a variety of international birds. Donald’s will dig up some fun in Dinoland, U.S.A. and dance the night away with a variety of feathery friends. Things become glowtacular at Disney’s Typhoon Lagoon as it comes alive after dark with Disney H20 Glow Nights. Now you can experience the water park at night from 8:00 p.m. until 11:00 p.m. on select nights through August 11th. Tickets are $55 per person, ages 3-9 are $50. Finally, the most anticipated addition to the “Incredible Summer” is the grand opening of Toy Story Land at Disney’s Hollywood Studios. Join Woody and the gang starting June 30th for a rootin’ tootin’ good time as you speed through Slinky Dog Dash and spin the day away on Alien Swirling Saucers. Don’t forget to grab a bite to eat at Woody’s Lunch Box. Epcot International Food & Wine Festival will be returning August 30th running through November 12th. Concerts, classes, and food have not been announced yet, but at least you can officially plan your visit. Kringla Bakeri Og Kafe in the Norway Pavilion is closed for refurbishment. A temporary kiosk has been set up nearby. Finding Nemo: The Musical is currently closed. The reopen date has not yet been announced. Flights of Wonder is now closed to make room for UP! A Great Bird Adventure, opening April 22nd. World of Disney in Disney Springs is being reimagined. Parts will be closed in phases, but most will remain open during construction. Disney’s Old Key West Resort is in the middle of room refurbishments until late June 2018. Disney’s Pop Century Resort is undergoing room refurbishments until May 2018. Duck Pond Pool at Disney’s All-Star Movies Resort will be under refurbishment until sometime this spring. Bowling Pin Pool at Disney’s Pop Century Resort will be closed late February through May. Toy Story Land is currently under construction at Disney’s Hollywood Studios with an opening of June 30, 2018.